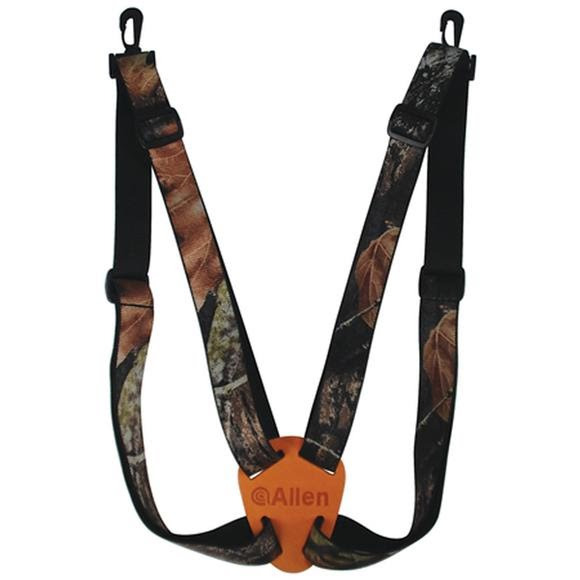 Keep your optics safe and secure with The Allen Co's 4 Way Adjustable Deluxe Binocular Strap. Elastic body harness comfortably holds binoculars against your body; Attaches to most binoculars with quick ties; Adjustable to fit almost anyone. Keep your optics safe and secure with The Allen Co&apos;s 4 Way Adjustable Deluxe Binocular Strap. Elastic body harness comfortably holds binoculars against your body; Attaches to most binoculars with quick ties; Adjustable to fit almost anyone.